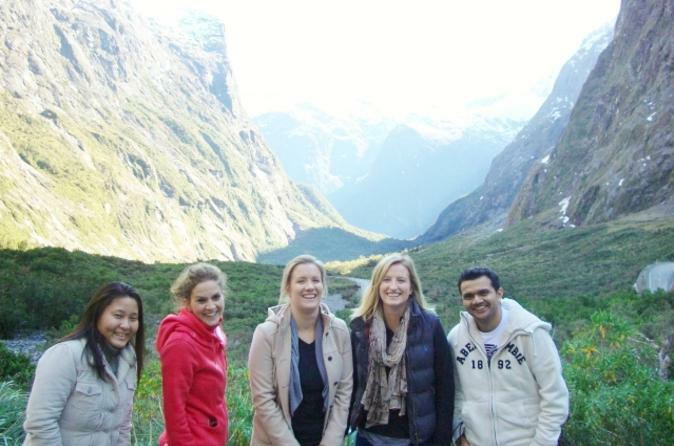 Experience rural New Zealand as you're taken on a walking tour of the farm. Learn about traditional farming practices and the significance of the various animals. Watch sheep dogs in action, see the shearing and maybe try your hand at spinning wool. Then stroll through the lakeside gardens to the Colonel's Homestead for a traditional morning or afternoon tea. 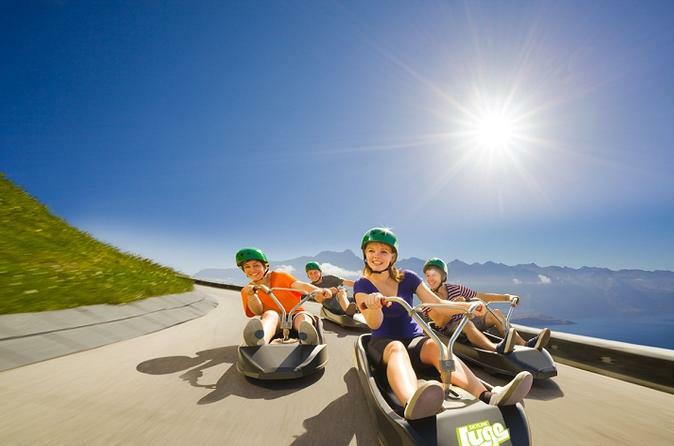 Imagine yourself steering a three-wheeled luge cart around bends, over bumps and through tunnels with the view of Queenstown and Lake Wakatipu below. Your day will be filled with scenic views and adventure as you take a gondola from Queenstown to the Skyline complex at the top of Bob’s Peak. From there, take up to five rides (because one isn’t enough) down one of two luge tracks – the advanced track or the scenic track. Calling all adrenaline junkies! Are you up for the Shotover triple challenge? 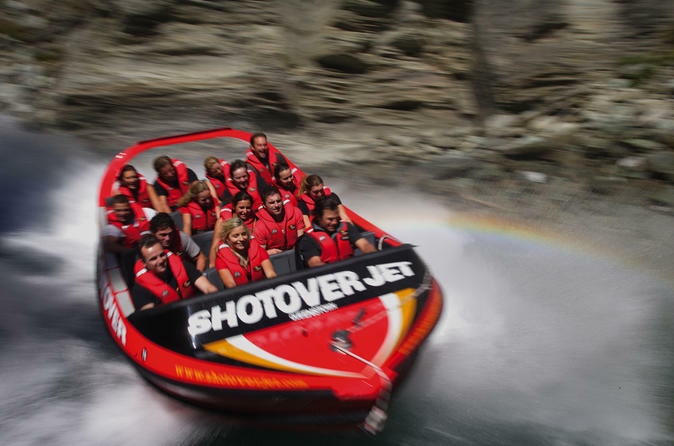 Experience Queenstown at its very best as you brace yourself for a jet boat ride on the Shotover River, helicopter over Skippers Canyon and white water rafting from Deep creek to Cascade rapid. 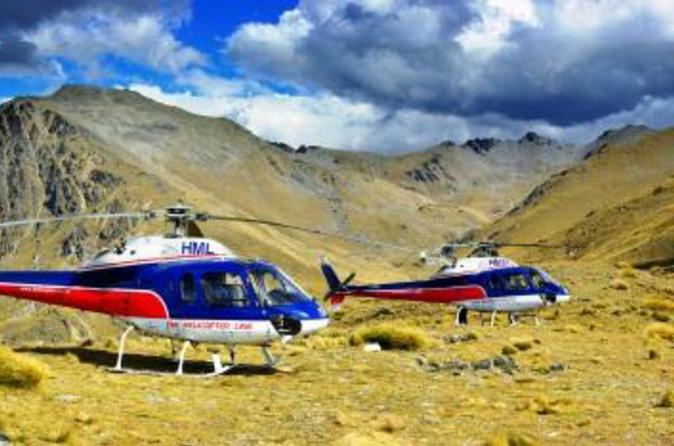 Guranteed to get the heart pumping, you're half day adventure tour includes all equipment and safety briefings. 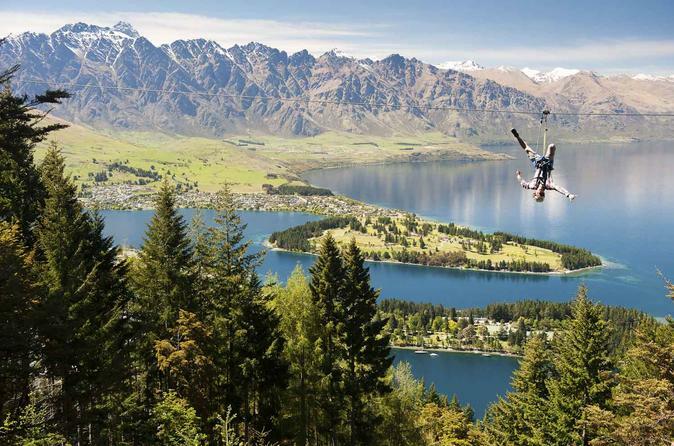 Find out why Queenstown is New Zealand’s adrenaline capital with this zipline adventure! 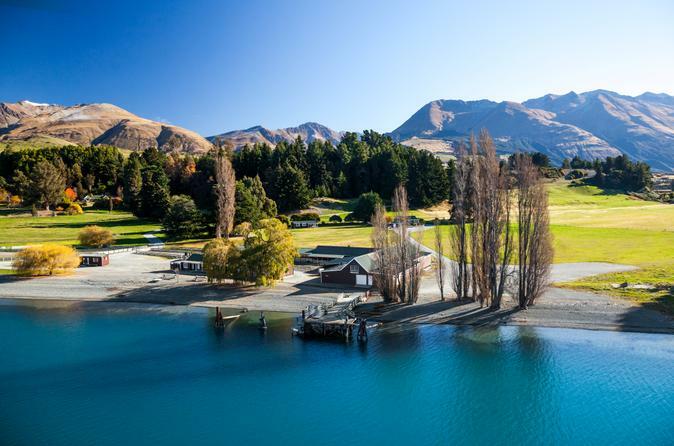 Launching from the Ziptrek Treehouse at the Skyline Gondola summit, you’ll zipline down the mountain and take in panoramic views of Lake Wakatipu and the snow-capped Remarkables mountain range. With experienced guides accompanying you at each zipline aerial platform and a choice between the beginner and high-velocity tours, it’s an outdoor adventure the whole family can enjoy (for kids age 6 and up). 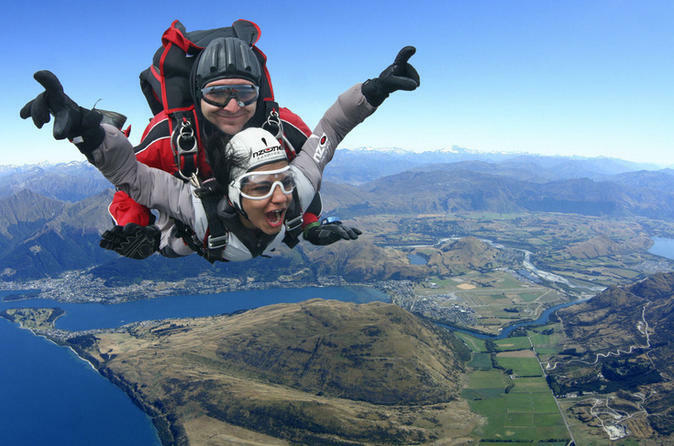 See Queenstown like never before as you take the ultimate leap of faith as you tandem skydive. Feel your adrenaline surge as you reach altitude and prepare to jump, before free-falling at terminal velocity reaching speeds of up to 200 kilometers per hour. 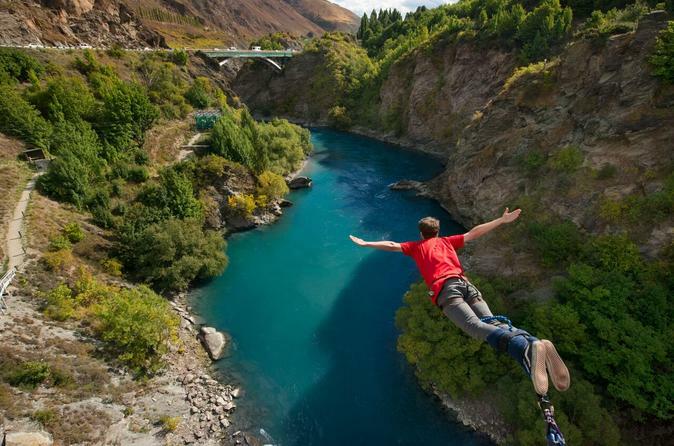 The ultimate Bungy Jump challenge. 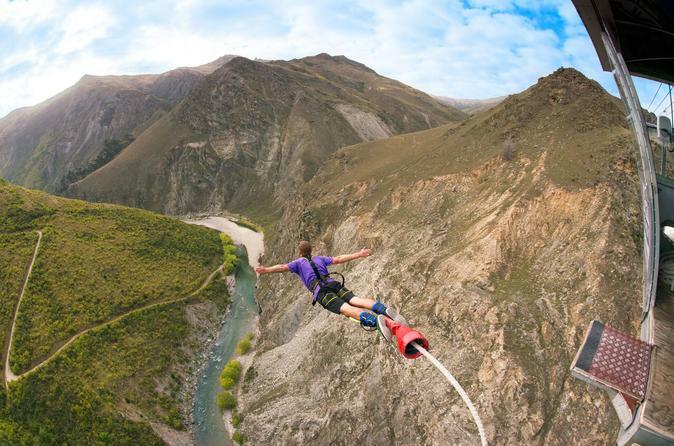 Make no mistake, the Queenstown Nevis Highwire Bungy is not for the nervous - with a wild 134 meters (440 feet) drop, the river seems to rush towards you faster than you're rushing towards it! 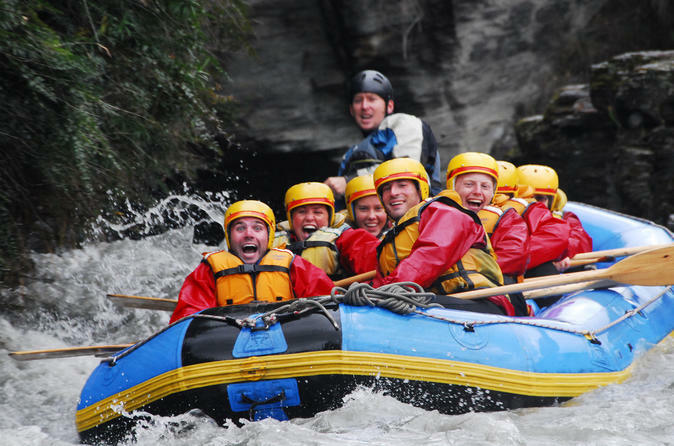 Experience the adrenaline-charged thrill of white-water rafting on Queenstown’s Kawarau River! 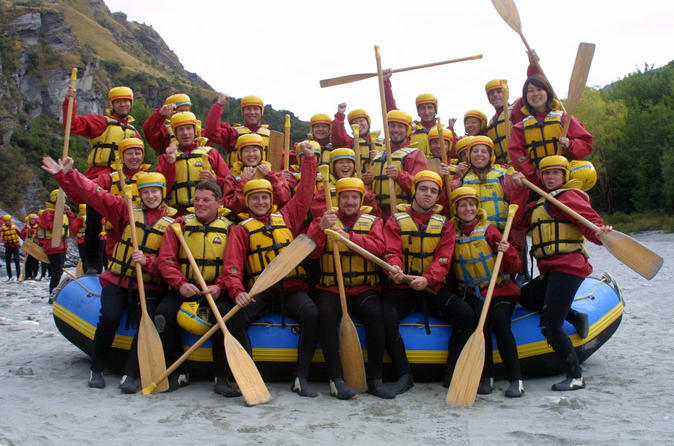 As you paddle through the stunning scenery, you'll feel like you are rafting through the heart of Middle-earth, as it was the Kawarau River that starred as the River Anduin in 'The Lord of the Rings' movie trilogy. 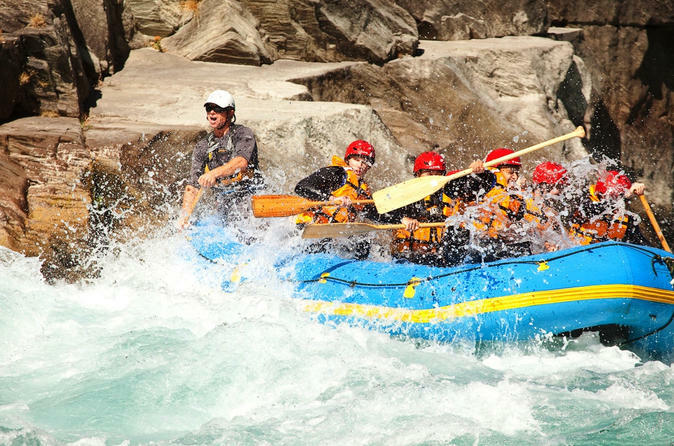 This grade II to III rafting trip is suitable for all fitness levels, and no experience is necessary. 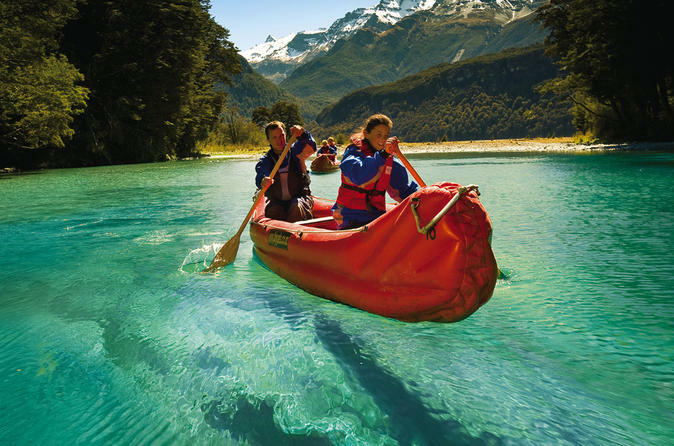 Discover the untamed beauty of the UNESCO World Heritage-listed Mount Aspiring National Park on this full-day Dart River 'funyak' (inflatable canoe) and jet boat tour from Queenstown! Travel by coach to Glenorchy, where your adventure begins, and then hop aboard a jet boat and ride up the picturesque Dart River. Speeding through a landscape of outstanding natural beauty, your tour passes the 'Middle-earth' countryside that featured in the popular 'The Lord of the Rings' trilogy. In a secluded stretch of the river, swap the boat for your own easy-to-handle funyak and then paddle behind your attentive guide before stopping for a buffet lunch in the great outdoors! 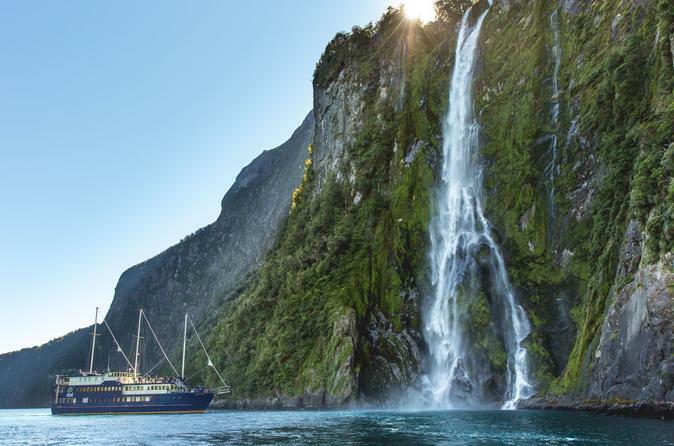 Experience the wonderful and breathtaking Milford Sound from the land, sea and sky on this full-day tour from Queenstown. Seethe world-famous fiord in all its natural glory – surrounded by dense rainforest, glacier-carved valleys and beautiful waterfalls. The Remarkables Mountain Range dominates the eastern skyline of Queenstown. You will appreciate first hand how these peaks have earned their name when you land 1538 meters (5046 feet) above Queenstown, where you can stand in the snow during winter and admire the stunning views across Lake Wakatipu to the Southern Alps. 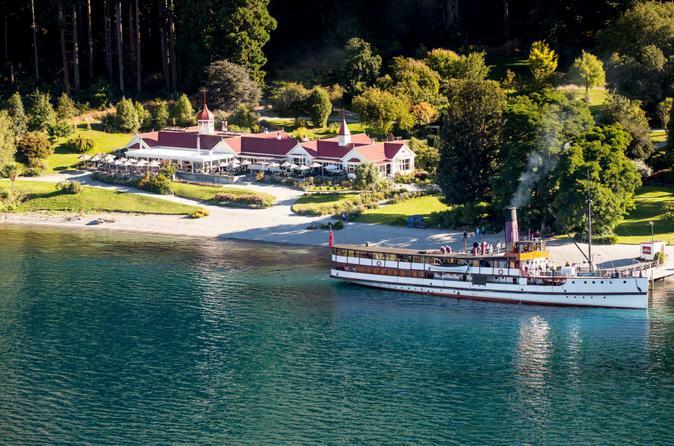 Discover the mystery of Lake Wakatipu's northern shores, before experiencing a snow landing on the distinctive Jura Glacier. 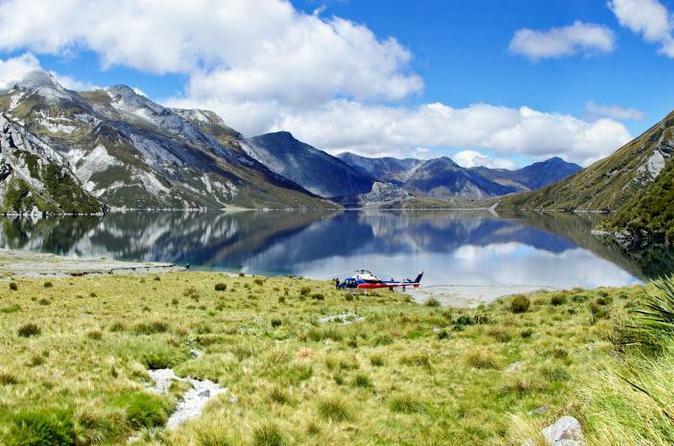 Stand in snow surrounded by high mountain peaks and bush covered valleys as you admire unparalleled views of Mount Aspiring and the mighty Rees and Dart River valleys. 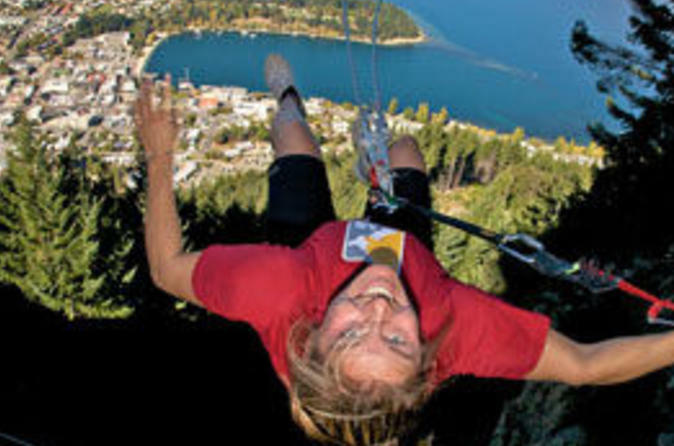 The ultimate Queenstown challenge is Bungy and go from nervous to completely elated in five seconds. 99% of clients say it's the best thing they have ever done. 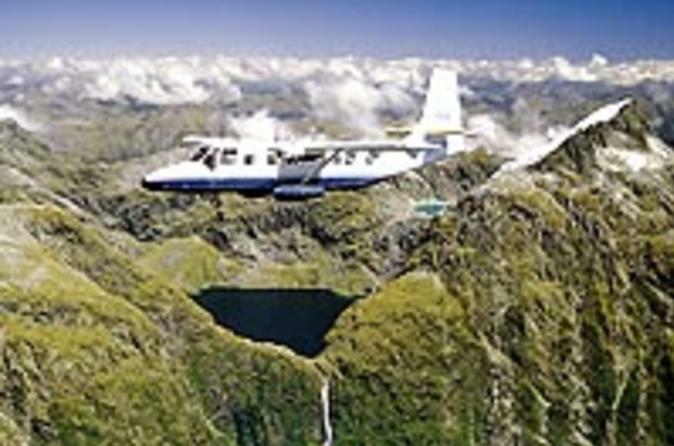 Discover New Zealand’s Lake Wakatipu and Mt Nicholas high country on a catamaran cruise and 4WD tour from Queenstown. Cruise to the lake’s western shore while hearing informative commentary from your captain. Visit a merino sheep farm, then hop into a 4WD vehicle and zip into the mountains for a bird's-eye view on the stunning region. 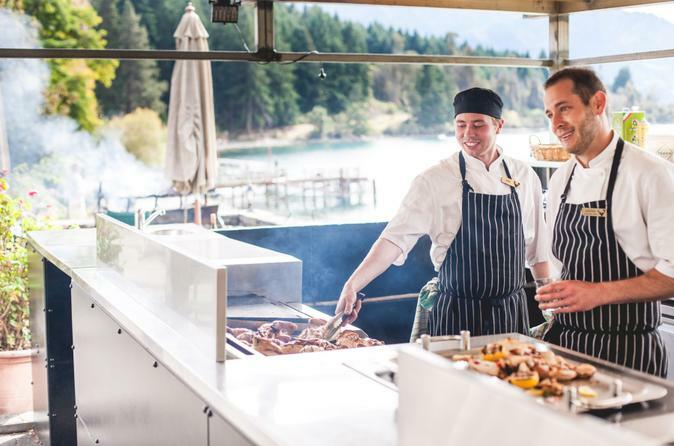 Take short walks on the mountain, and snack on morning or afternoon tea before returning to Queenstown by boat. 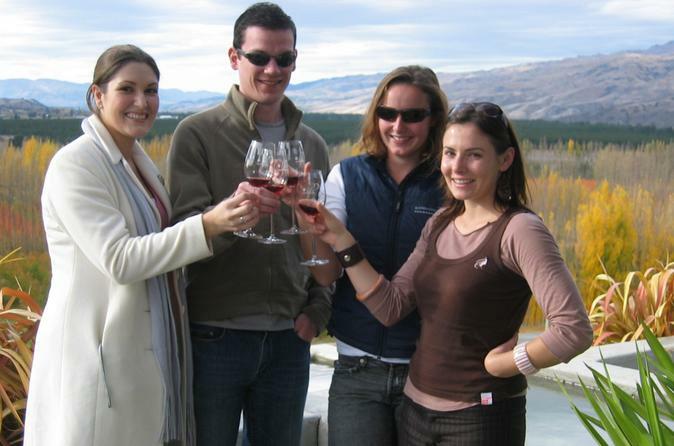 The world's largest tasting of New Zealand's best wines is right in the centre of Queenstown. At The Winery you get your own pre-loaded Wine Tasting Card and you choose the wines you taste. 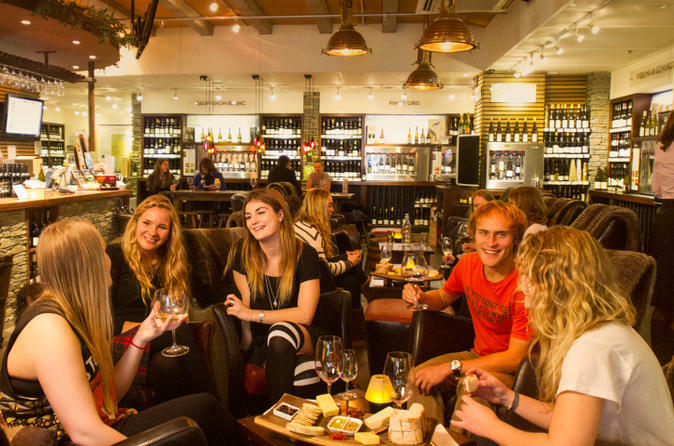 Explore amongst the 80+ wines, Champagnes, sparkling wines, Whiskies, Ports and Sherries available for tasting ..... in one place! And now for something completely different... remember the swing you had in your back yard? Well, the Ledge Urban Sky Swing takes that to a whole new level. In fact a level 400 meters over Queenstown.